Make a statement with this "2008 Premier Print Awards Winner." 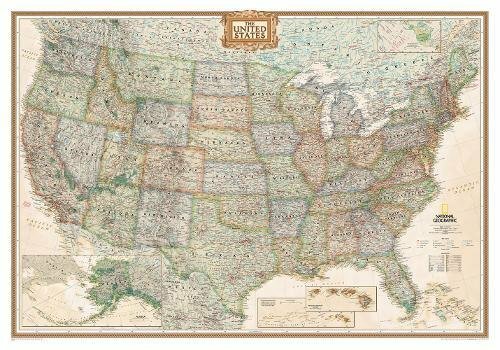 The rich tones of this Political Executive map combine the popular antique look with up-to-date information so that you have a map that is elegant enough for the board room, study, or office, and contemporary enough to make it an ideal reference. If you have any questions about this product by National Geographic Maps, contact us by completing and submitting the form below. If you are looking for a specif part number, please include it with your message.